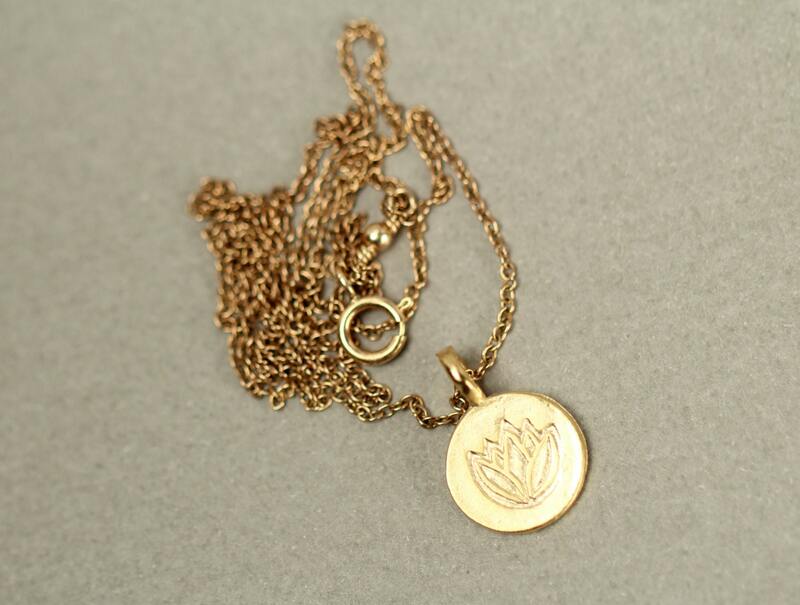 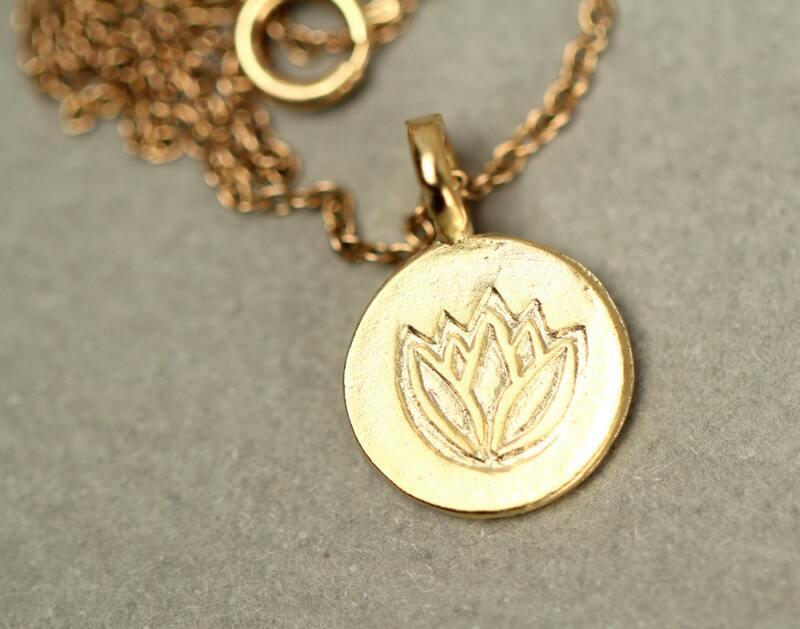 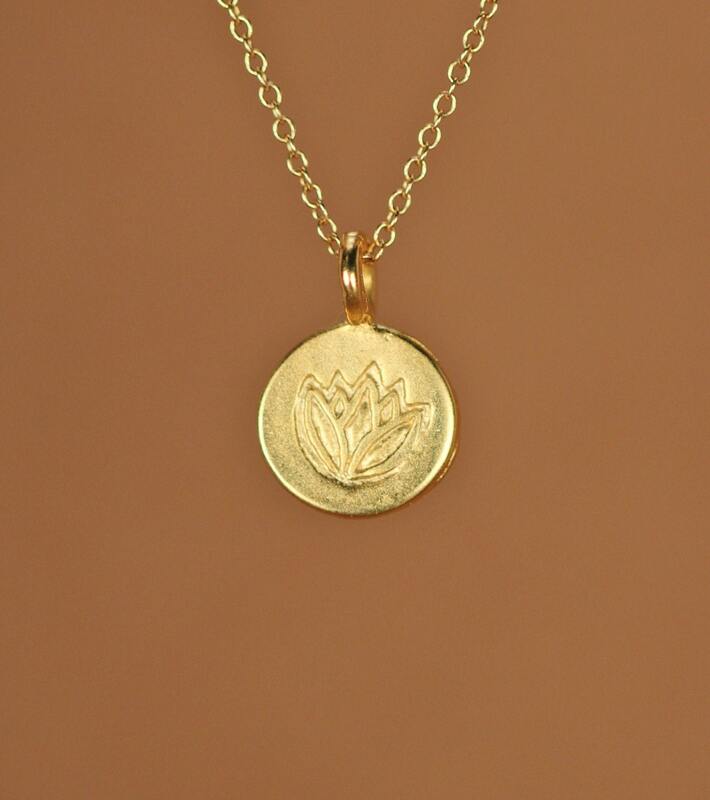 This simple and classy little lotus disc is plated in 22k gold overlay and hangs from an 18 inch 14k gold vermeil chain. 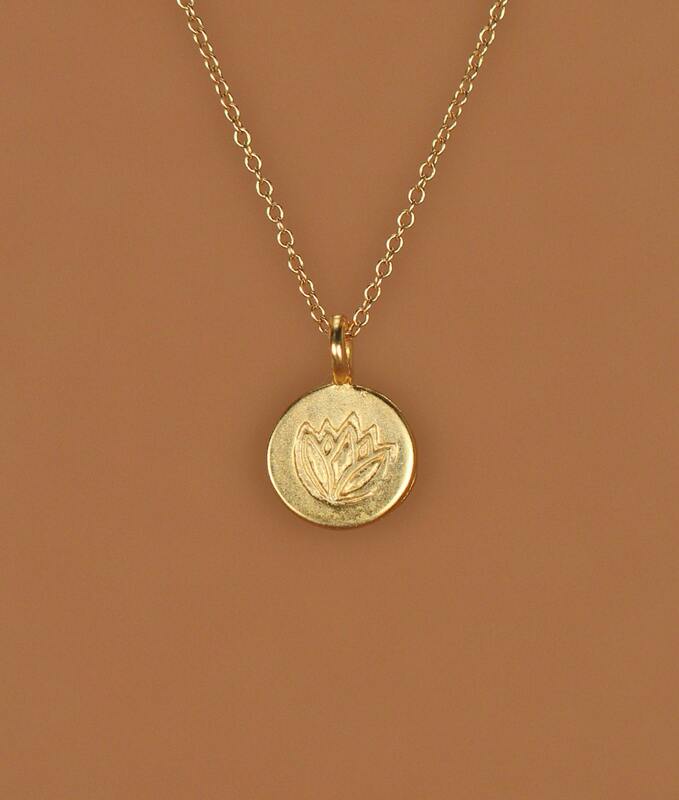 Feel free to select a different length if you prefer! 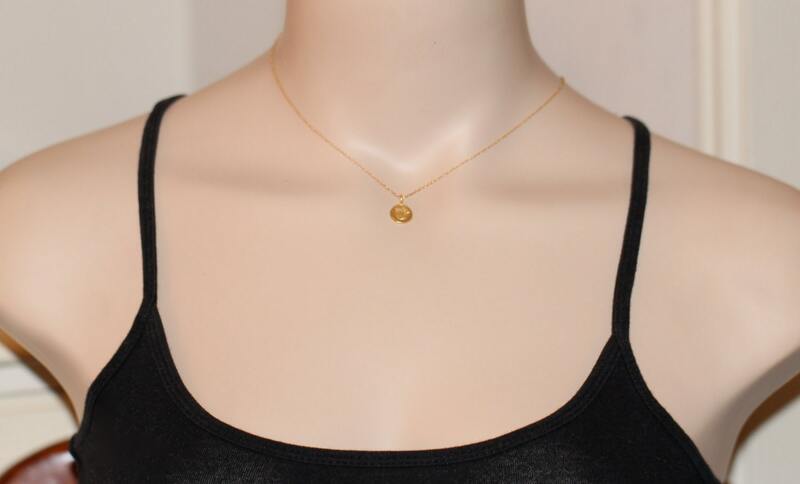 You can also add a little gemstone if you like!